پژوهشهای علمی، که بخش عمده‌ای از فعالیتهای دانشگاهها و پژوهشگاههای کشور را طی دو دهۀ اخیر به خود اختصاص داده است، بدون شک یکی از مؤلفه‌های قطعی توسعه و پیشرفت کشور قلمداد می‌شود. تأکید رهبران سیاسی و نخبگان علمی کشور بر نیاز جدی به توسعۀ هرچه بیشتر علم و فنّاوری گواهی بر مدعای فوق است. از طرفی، بروز ضعفها و کاستیها، چه در برنامه‌ریزی و چه در اجرای هدفمند پژوهشهای علمی، موجب سردرگمی نهادهای دست‌اندرکار شده و چشم‌انداز آتی پیشرفت علمی کشور را با شک و تردید جدی مواجه ساخته است. نبود سازکار مناسب برای تجاری‌سازی محصولات پژوهشی، و در یک کلام، پای کار نبودن مشتریان نیازمند، مشکلات عدیده‌ای برای استمرار اجرای موفق پژوهشهای علمی رقم زده است. در این نوشته، ضمن انتقاد از صرفاً بیان مشکلات موجود، پیشنهاد شده است تا آحاد جامعۀ فرهیخته پژوهشی کشور، از طریق تبادل‌نظر و همفکری، مساعی خویش را در ترسیم نقشه راهی برای اجرای هدفمند پژوهش علمی طی دهۀ اخیر به ‌کار بندند. 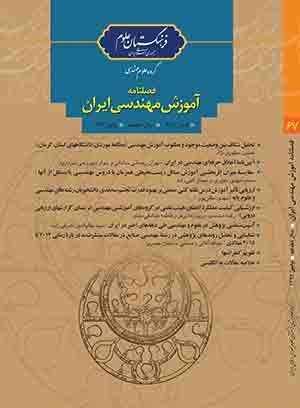 در همین راستا، سعی شده است تا به کمک آمار و مستندات موجود، و از طریق تحلیل روند پژوهش طی چند دهۀ گذشته، الگویی اگرچه ناقص و ابتدایی برای دهۀ جاری ارائه شود. به گمان نوشتۀ حاضر، ساماندهی امر پژوهش، منوط به اجرای دو گروه از پیشنهادهای مفیدی است که ‌باید به تفکیک بخش دانشگاهی و بخش صنعتی کشور عملیاتی شوند. تدارک سازکار لازم برای «تجاری‌سازی دستاوردهای پژوهشی» به‌عنوان اقدام محوری و شاه‌بیت فعالیت ارکان کشور طی دهۀ جاری برای برون‌رفت از مشکلات موجود پیشنهاد شده است. One of the main focuses of Iranian universities and research institutions during the past decade have been conducting research which is counted as one of the main components of development in Iran. Proof of this statement lies in the fact that political leaders and academics have been stressing the rigorous advance and development of science and technology during the past decade. On the other hand, weaknesses and shortcomings in both planning and implementation of targeted scientific research has caused confusion among bodies involved and has faced the country’s prospects of development with serious doubts. The lack of mechanisms for commercialization of research products has created numerous problems for successful implementation of scientific research. In this work, it is suggested that the society put their efforts for the targeted actualization of the road map which is implemented for the recent decade through dialogue and consultation. In this regard, through presentation of documents and statistics and also an analysis of research trends in the past decades, an effort has been made to present a model, albeit rudimentary and incomplete for the present decade. Based on the facts presented in this paper, organization of research depends on the execution of two sets of useful suggestions to be acted upon by universities and the industrial sectors. Providing a mechanism for “commercialization of research achievements” is the essential key for solving current problems and issues.